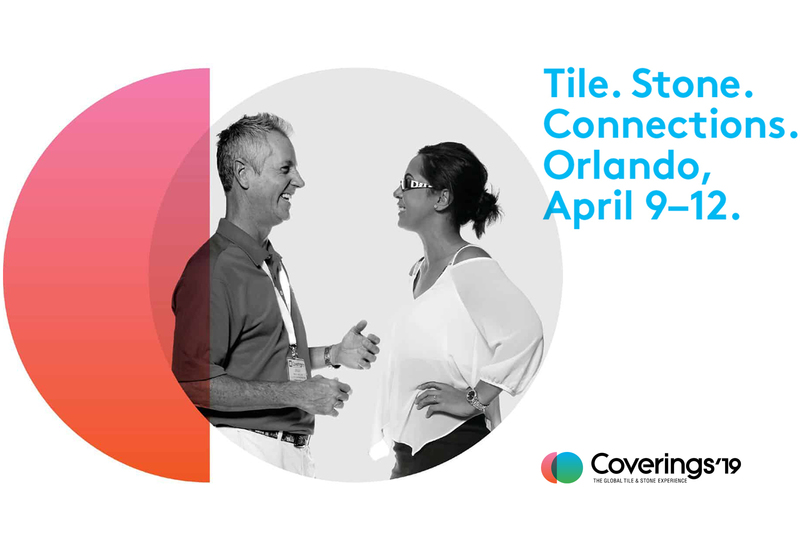 Coverings 2019 is the preeminent event for the ceramic tile & natural stone industry in North America. All in one venue, it allows to see thousands of dazzling products, connect with suppliers from around the globe and discover ground-breaking techniques. Coverings is also dedicated to providing education, including CEUs, through: conference sessions, hands-on workshops, live demos, show floor tours and more. Year after year, education program of the event includes leading speakers from every segment of the industry to ensure you stay current and have access to all the resources you need to improve. At this edition, the event will take place in April 9-12 in Orlando, Florida and attendees could view the latest products, trends, and tools from 1,100+ of the world’s leading manufacturers and suppliers. Want to take a trip around the world? Coverings 2019 pavilions include: North America, Italy, Spain, Turkey, and Brazil. Want to find inspiration? Coverings featured new trends, textures, shapes and alternative uses of tile and stone.